SR It’s naturally beautiful. There’s nothing you need to add to it or take away. It’s beautiful as it is. Pearls are like that too. Precious stones have to be cut and have facets added to them. 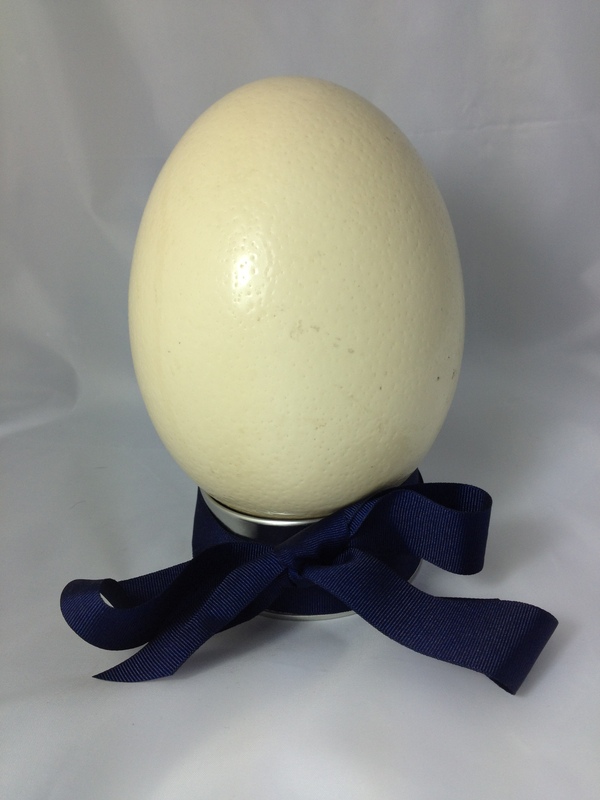 It was also really tricky to bring this egg back from Africa in one piece. I do have an emotional attachment to this one. I went to Botswana with my friend, Anna Haber, and we spent a couple of weeks there, making jewellery with the bushmen. GB How did that trip come about? SR I’m very interested in craftsmanship. Of course the need to design comes with my work too, but I see myself as a goldsmith more than a jeweller, as a craftsperson. There are so many techniques that get lost when one generation stops making things in a certain way. I’ve travelled a lot and picked up different techniques around the world. It was so nice to go to Botswana and document such an instinctive form of craftsmanship. And we took new materials to them, so we took their traditional elements such as these little buttons made from ostrich egg and added our own elements such as leather and lace. They use ostrich eggs to carry water when they go hunting. Eventually the eggs break, leaving all these little shards and they drill holes into those and make them smooth and round. GB You’re used to making jewellery from such precious materials. Did you feel that ideals of beauty are different in Botswana? SR These eggs aren’t precious. There are lots of ostriches there – but it’s wonderful the way that something they gather for food becomes recycled as a water carrier and then recycled again as jewellery. Now we’re trying to make things with lotus seeds from India. There are so many different materials and techniques around the world. These do affect the local ideal of beauty. I didn’t want to force the materials we’d taken with us onto them but they were so happy with what we created together. Everyone gets bored of being stuck with the same materials all the time. I love travelling and working abroad because you pick up a bit of their style and share some of your own. You don’t have to go far to find big differences in what people think is beautiful. I found the appreciation for craftsmanship in China was incredible. I like to sit down with people and capture their story. The lovely thing with jewellery is that people can pass it on to their children and tell these stories. SR I always look for the skill set and the craftsmanship that’s involved in something. That can be hard to find sometimes in contemporary art. I like an element of originality too and a certain imperfection. GB But your egg looks quite perfect! SR Only from a distance. Up close it has all these tiny holes. But an egg represents the start of life and I think the shape of it is beautiful to everybody, wherever they come from.